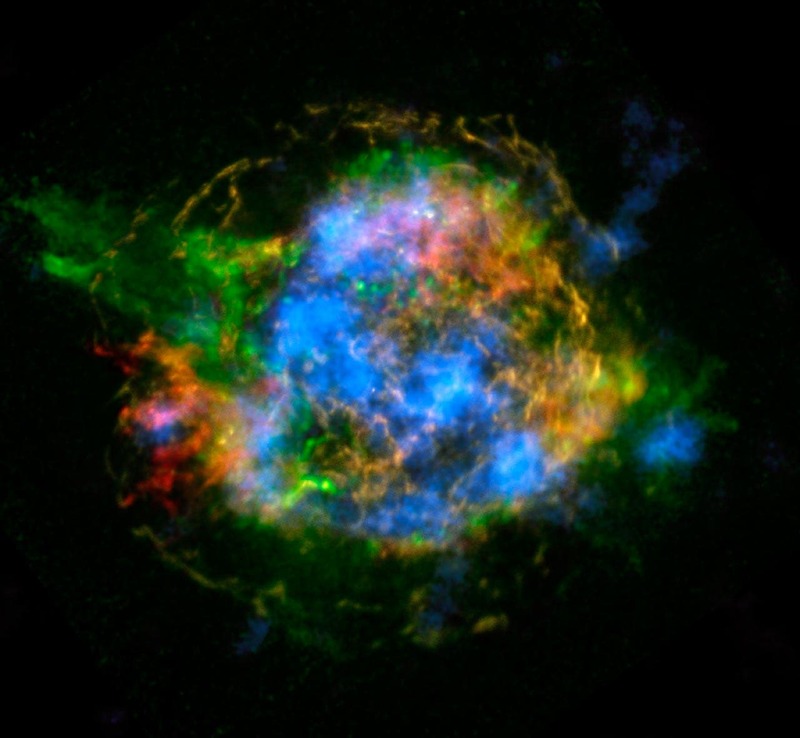 The very high-energy part of the spectrum of Cassiopeia A results from the cosmic rays (either electrons or protons) within the remnant. Until now, this range of energy could not be measured with sufficient precision to pinpoint its origin. Sensitive observations above 1 Tera-electronvolts (TeV) were required but achieving them was daunting. 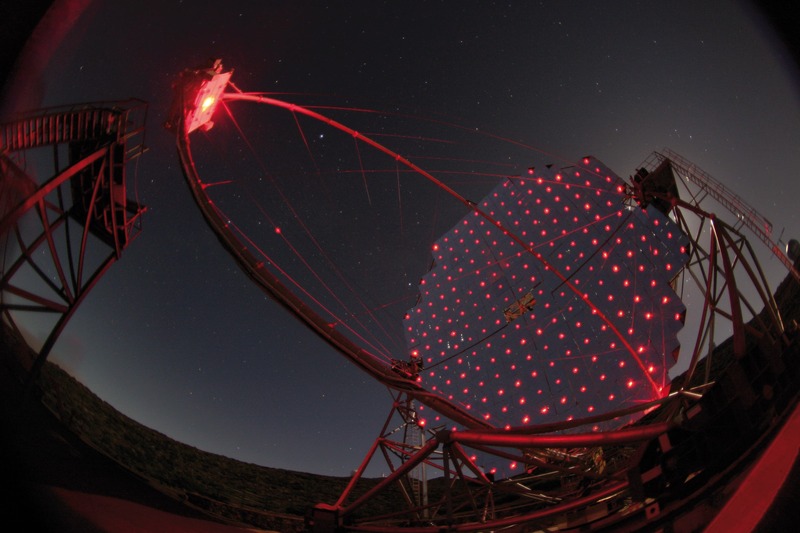 An international team led by scientists from the Institute for Space Sciences (ICE – IEEC-CSIC, Spanish National Research Council-CSIC), the Institut de Fisica d'Altes Energies (IFAE) and the Institute of Cosmos Sciences of the University of Barcelona (ICCUB), in Spain, has finally succeeded in doing those observations with the MAGIC telescopes (short for Major Atmospheric Gamma-ray Imaging Cherenkov Telescope). More than 160 hours of data were recorded between December 2014 and October 2016, revealing that Cassiopeia A is an accelerator of massive particles, mostly hydrogen nuclei (protons). However, even when those particles are 100 times more energetics than the ones we can reach in artificial accelerators such the one in CERN, their energy is not high enough to explain the cosmic ray sea that fills our Galaxy.